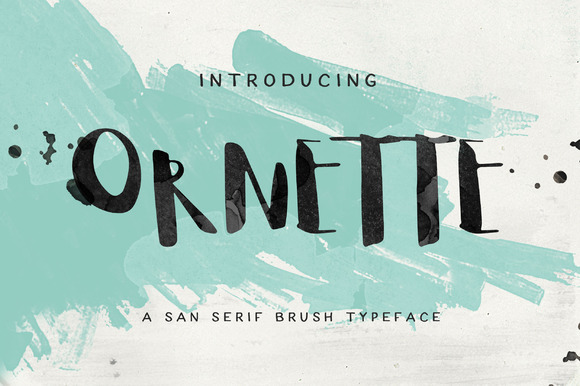 Ornette is san serif brush font published by KlapauciusCo. Available in 2 styles, accentuated glyphs and ligature features, it was designed to be suitable for signature, branding, logo but also for romantic projects, wedding, invitation. A font description published on Monday, October 31st, 2016 in Fonts, Klapaucius Co by Alexandra that has 2,705 views.